How is quality control in your company? Are your customers consistently satisfied with your product? Customers who are satisfied are more likely to become repeat customers and to encourage others to purchase your product. The best way to ensure consistency in your products is with an excellent quality management system. A quality management system provides you with continuous data on your products and provides you with the information you need to determine if your company is meeting its goals and objectives. 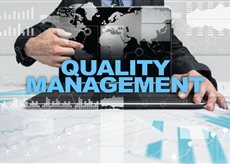 Here are a few things you need to know about a quality management system. While there are many quality management system standards, the most popular by far is the ISO 9001:2015 standard. It’s implemented by more corporations than any other standard. Some standards, such as ISO 14000, have been developed for specific industries and may not be applicable to your business. When you’re creating a quality management system, there are a few things that are considered universally necessary. For example, your business will need to have a policy on quality as well as quality objectives. Once you know your company’s goals, you can develop a quality manual as well as procedures, instructions, and records for quality managements. You will also need to choose your QMS software at this time. Once you’ve developed your quality management system, it’s time to begin QMS integration. The most important aspect of QMS implementation is ensuring that all your employees understand the system. Proper training will allow them to use it properly from the beginning. This will help to ensure that the data you’re receiving is accurate and reflects the actual quality of your product. If you find that your product is highly variable and isn’t consistently thrilling your customers, it’s probably time to implement a quality management system. It will help your company be more successful in delivering a product that is consistent and will help you identify potential problems before they get to your customers.